This fall I decided that this would be my year of doing things that scared me. I finally ran a marathon, and then I ran another one. 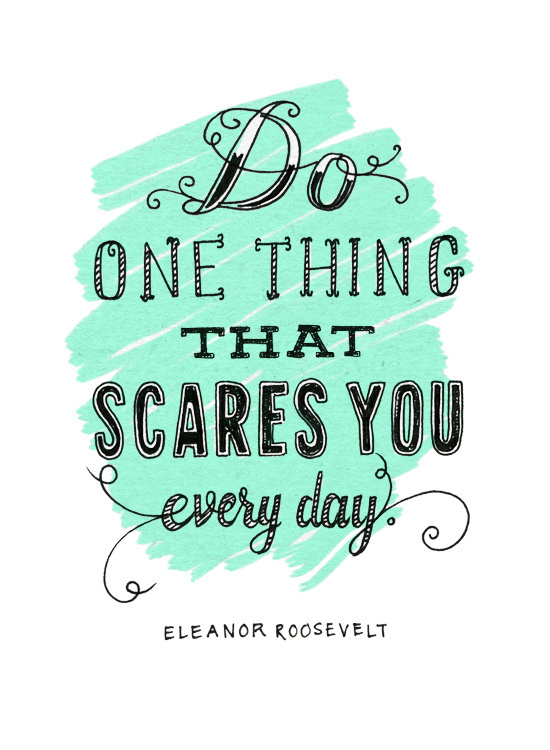 I’ve done some things in my personal life that were scary, too, and I’m working on some more. I was feeling pretty pleased with myself, in fact, when Long Run Buddy casually forwarded me the link to the NYC Triathlon lottery a few weeks ago. For years, I have been espousing my complete non-interest in triathlons. “I don’t do sports that involve changing clothes during the event” was my favorite line, but really it was all about the swim. I can swim, but I have never been anything resembling a strong swimmer. My upper body strength borders on non-existent, so I tend to flail my legs mightily in an effort to compensate. It’s an effective workout strategy, as it generally leaves me exhausted and jelly-legged in a matter of minutes. On Saturday LRB and I went out for my first brick workout–10 miles of biking in Prospect followed by an easy 3-mile run in Brooklyn Bridge Park. It was my first loops of Prospect since the marathon last weekend, and for the first few miles I was flying down hills and having a great time remembering how good the race had felt. As we approached The Big Hill, I thought about how much I had struggled running it when I first moved to Brooklyn, and how far I had come in that time. Then I tried to bike up it. Within a minute my legs were leaden and runners were actually passing me. It seems The Hill is not done with me. Also, cycling is hard. It’s a good thing I’m not about to let that scare me.